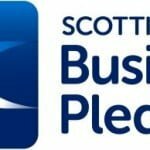 We are pleased to announce that we have been approved as a Scottish Pledge Business Partner. The pledge covers important topics such as living wage, not using zero hours contracts, equality and investors in people. Happy New Year from everyone at Brindley! Delighted that planning approval has been secured for the Northbank Luxury Lodge Development at Northbank Farm, Fife. We provided a wide range of services for this fantastic project – including site masterplanning, landscape design and EIA chapters (Landscape & Visual Impact Assessment and Ecology, Biodiversity and Nature Conservation). We also produced visualisations, both for the LVIA and for promotional purposes – such as this bird’s eye view image. Looking forward to getting started on the next stage of the project! We are looking forward to working on the next stage of this project now that formal consent has been granted. We provided LVIA, Landscape Design & ecology services for the EIA last year. The visualisations team really enjoyed producing the LVIA graphics for this one, particularly as night-time visualisations were required in addition to detailed daytime photomontages. More information on the services we have provided for Kingsford Stadium so far can be found here. A few of us had a fantastic time out in the sunshine yesterday with Micah from Creative Sides Photography, testing the capabilities of drone photography and video. It certainly seems like it could be an invaluable tool for a wide range of projects, and some of the shots we got were stunning. The next step is to try our hand at turning the images into aerial photomontages of the proposed site.